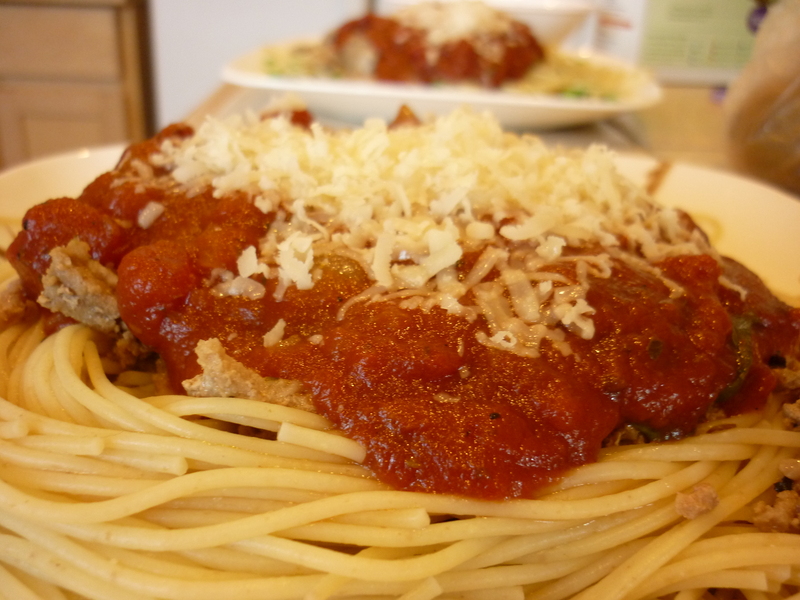 Super easy and fantastic to boot! 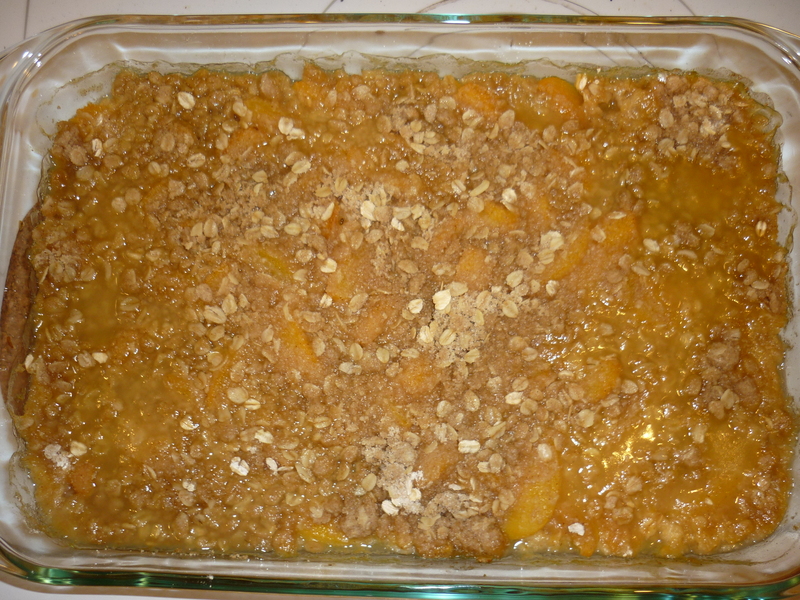 A favorite with almost everyone and easier than peach cobbler. 1.Preheat the oven to 350 Fahrenheit. 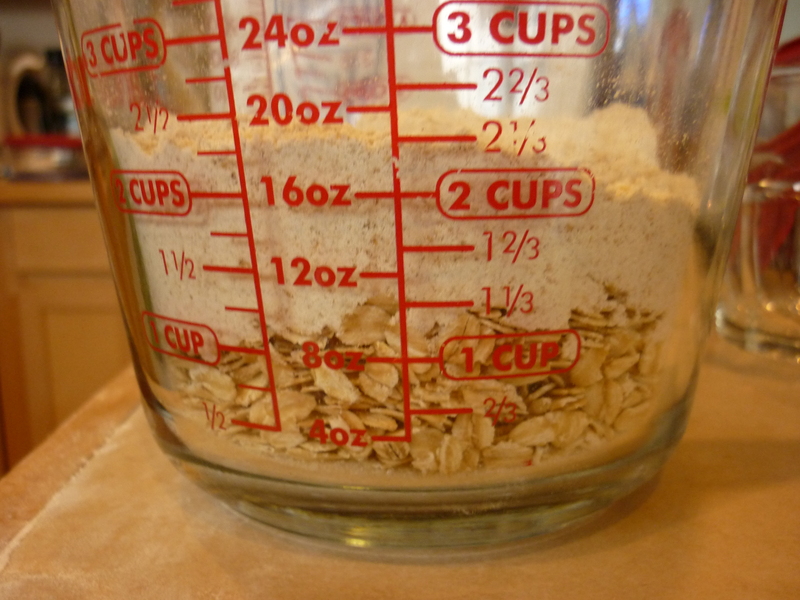 Combine dry ingredients in a 1 quart sized bowl. 2. 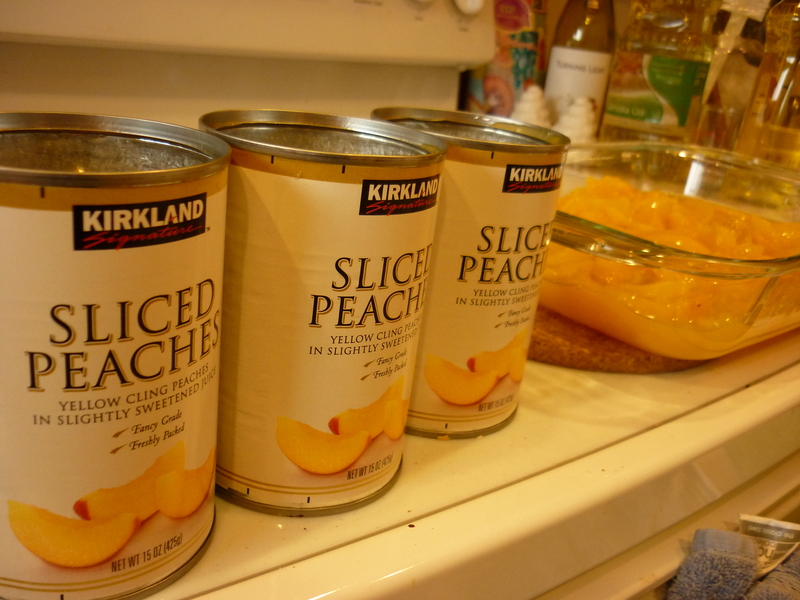 Pour all 3 cans of peaches in a glass 9″x13″ pan. 3. 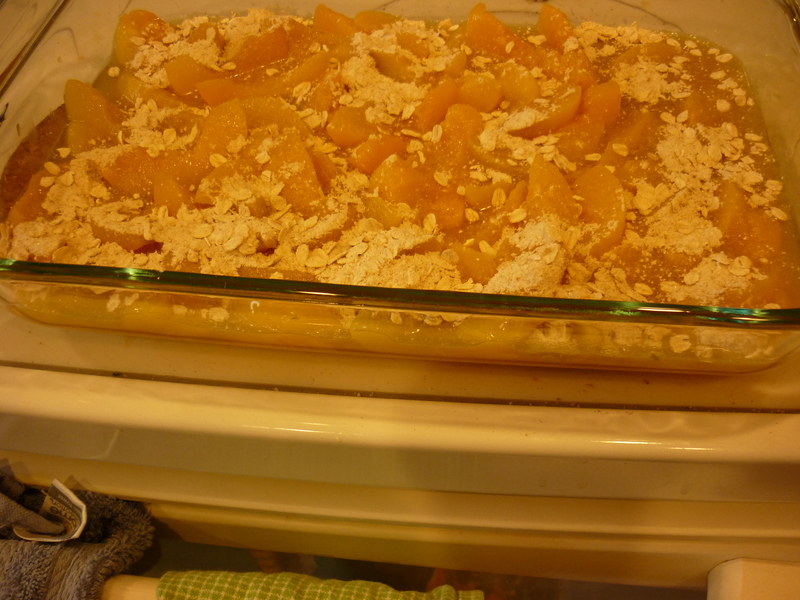 Sprinkle 4 Tablespoons of dry mix over the peaches to help thicken the crisp. 4. 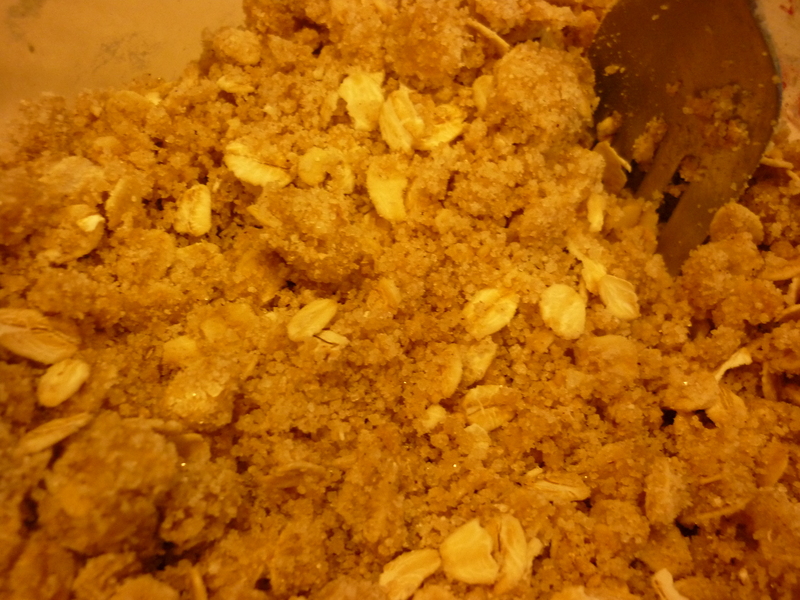 Pour the melted butter in the dry mix and stir until combined. 5. Spread the crisp mixture over the peaches. 6. Bake for 30 minutes or until bubbly and lightly golden on top. Let cool and serve with whipped cream or vanilla ice cream! 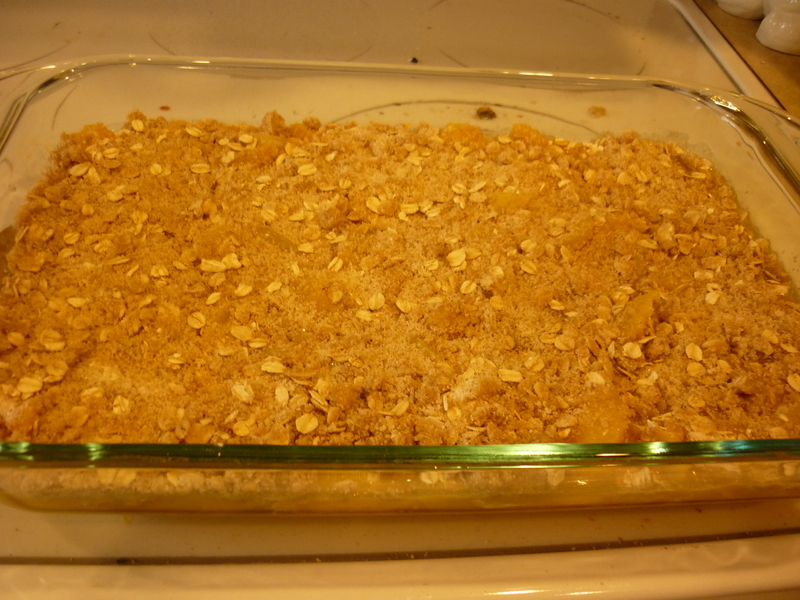 Possibly the easiest dessert ever, you can even memorize the ingredients.